The deadline for ADVANCE REGISTRATION is extended to August 7. Information of SICE Week is updated. 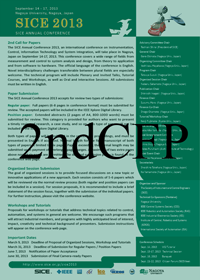 Author Registration / Submission Deadline extended to 8 July, 2013 (JST).